I'd never tried deep fried ice cream before. I'd never even seen it before. Hell, I'd certainly never seen it on a restaurant menu. It's hardly a common dish on these shores, but it's something I was desperate to try. So after my attempts at deep fried pickles and a deep fried mars bar, this seemed like the perfect conclusion to my deep-fried triology. Obviously the main concern was that the ice cream could melt while being deep fried. You have to make sure that the ice cream is very cold, and that the oil is very hot. I think it also helps if the ice cream has a reasonably thick coating. 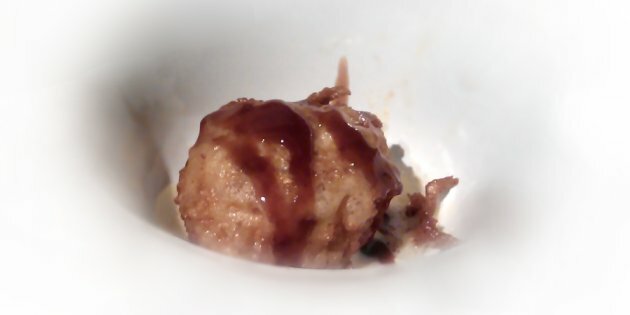 I made a ball of ice cream, and coated it with tasty crispy things. 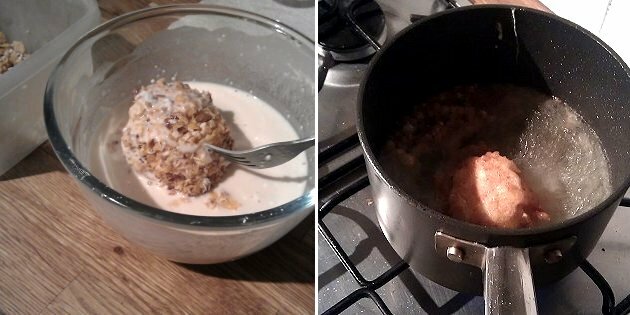 I used crushed cornflakes, brown sugar, chopped nuts, and coconut. 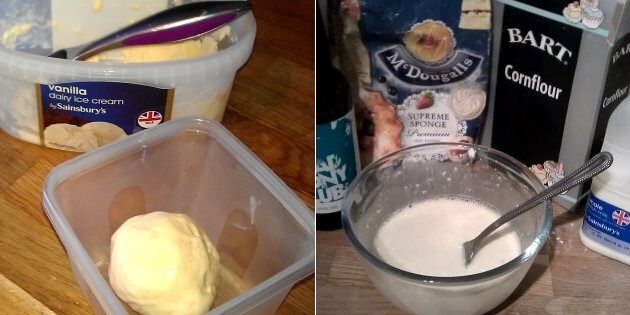 I pressed the toppings firmly into the ice cream, then put it back in the freezer for a few hours. For the batter, I used mixture of milk, beer, cornflour, and self-raising flour. Yes that is a bottle of Brewdog IPA. Yes it is a waste of a good beer. But I didn't have any cheap beer at home, and couldn't be bothered to go out. 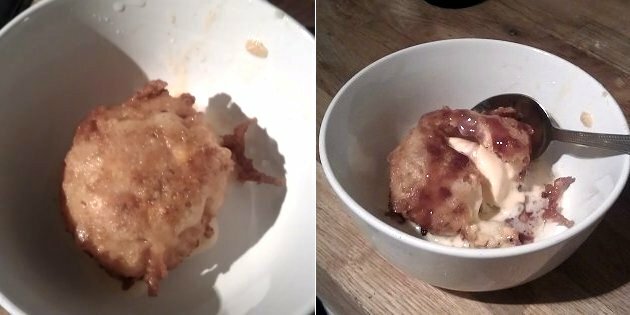 I picked up the ball of rock-hard ice cream with a fork, coated it thoroughly in batter, and dunked it in the (very hot) oil. It sizzled and spluttered like crazy, as the cold ice cream hit the oil. But it really didn't take long to crisp up... maybe 25-30 seconds. I lifted it out carefully... this thing was quite fragile by this point. Hey presto, the ice cream was still cold, and still fairly solid. The cornflakes and stuff became embedded in the batter, forming an awesomely crispy layer around the ice cream. It actually reminded me a little bit of biting into a McDonald's apple pie, but obviously with ice cream inside (duh). You should really try this. You HAVE to try this.